If you a fan of thematic parties that premium St. Patrick’s Day party flyers template listing, it’s what you need. 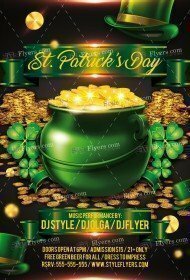 All these Photoshop files have a thematic design, green background and a plethora of trefoils. 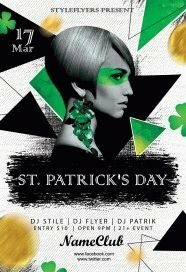 The combination of gold and green colors is a main color grade of these flyers. We try to make not just a flyer you can buy, but a piece of art, that’s why our printable samples have a plethora of small details and embellishments. 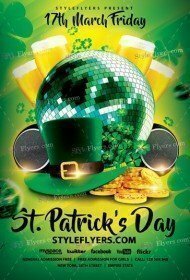 But if you are a fan of minimalism you can remove all unnecessary objects. You can also change a color grade and text. 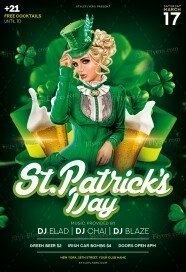 You can find some models on our flyers but we should warn you that unfortunately, they are not for sale and you will need to find a new model for your flyer. 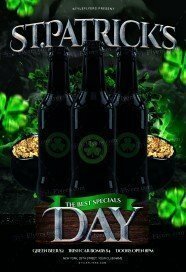 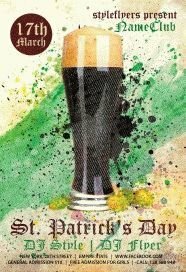 St. Patrick’s Day flyers will be perfect solution for your pub or club events. 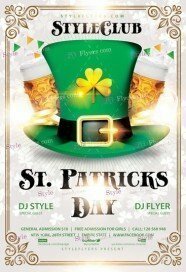 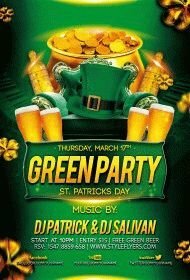 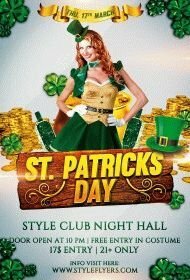 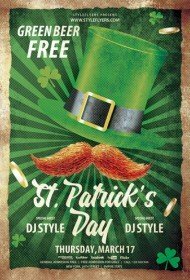 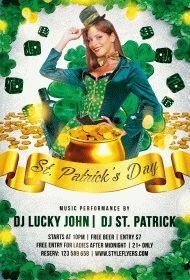 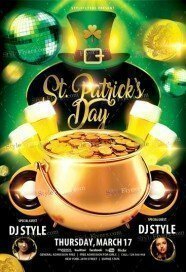 You can arrange a great thematic party just buy St. Patrick flyer PSD templates. 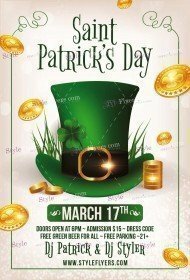 We left enough place for your info and contacts. 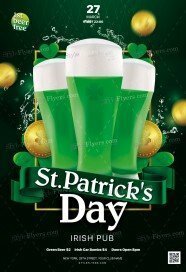 You are free to add anything you want. 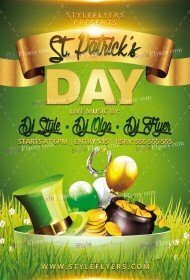 Just buy St. Patrick’s Day party flyer template and it Facebook cover for your online promotion for $2.49 and enjoy a high quality product. 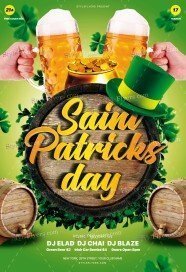 We will be happy to provide you with any help and support.